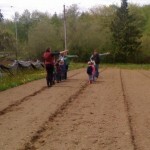 Visit ICP’s blog to read about visits to the farm in Fall, 2014! 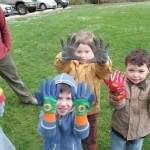 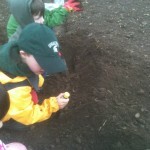 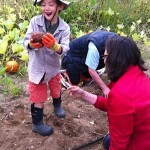 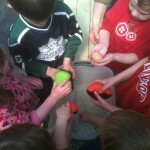 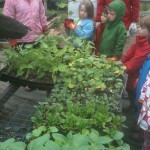 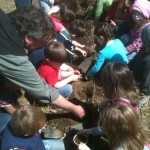 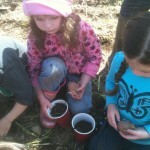 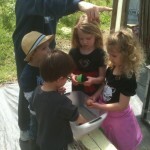 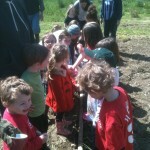 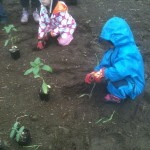 In Spring 2011, the Island Cooperative Preschool joined the program as our second school partner at Morales Farm. 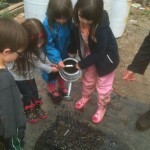 The Orca Class of four year olds hold class at the farm bi-weekly. 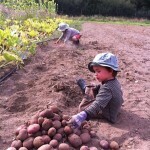 In past seasons they grew potatoes, sugar pumpkins and honey flowers for their school and community, which included having a stand at the Youth Farmer’s Market. 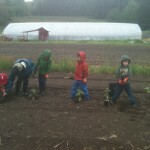 On these landscapes of learning, students practice math and social skills, study science and local heritage, and learn about food communities, from production and processing to consumption and recycling.